Come for the Food and Entertainment. Stay for a unique shopping experience. 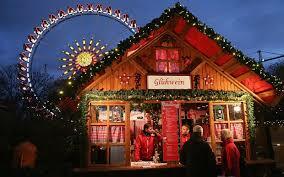 We will have authentic German, handcrafted Christmas ornaments, nutcrackers, Schwiebogen, smokers and decor. Enjoy our German-Texan Annual Christmas Market this December 1st., 2018. Also, enjoy some Gluehwein (hot spiced wine), Christmas Stollen made by The New World Bakery and gingerbread hearts made by Uwe’s Bakery. Other performers include the Saengerrunde as well as high school choirs and Sunshine Willie. Need to know where to park your car? Please carpool if you can. If you don’t have any luck on the surrounding streets, try the hotels: Hyatt House, Holiday Inn Express.